I’m a flight instructor (CFI-ASEL/I), commercial (COM-AMEL) and glider pilot (PP-GLI). I volunteer with the Collings Foundation’s Wings of Freedom tour when I can. 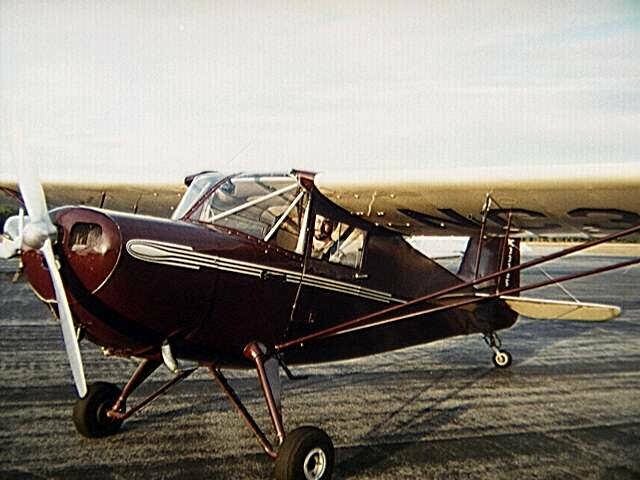 My wife and I own and fly a 1946 Commonwealth Skyranger, and I’m also partner in an A-36 Bonanza and a T-6G. As time allows, I help run the Skyranger users group and edit SPARS, a newsletter for enthusiasts and owners of Rearwin and Commonwealth Skyrangers. Pittsburgh->Palo Alto, 2002 unedited travelogue, with pictures, of most recent across-America trip. Posted in real-time, at the end of each day of flying. Unedited transcripts of a crosscountry flight I took ferrying the Skyranger from Seattle to Boston in 1993, as posted to rec.aviation.